How much value are you getting from your yard? For many homeowners, the answer is “Not enough!” If your outdoor spaces are just another thing to check off your to-do list, it’s time to make some changes and put your lawn and garden areas to work in a way that your family can enjoy. Get your yard up to snuff. The first step to fulfilling the potential of your yard is to make sure it’s in good condition. It doesn’t matter how nice your fire pit, pool, or outdoor kitchen is; if the surrounding lawn is overgrown and full of weeds, no one will want to spend time there. Same goes for out of control underbrush, shaggy trees, and dead branches. Fortunately we can help with landscaping and tree services in Gainesville. Mr. Tree and Lawn Service can help you whip your yard into shape and keep it that way, whether you need a full overhaul with landscape installation, or just regular lawn maintenance to lighten your load of household chores. Once your front and back yards are cleaned up, you can more easily see what you have to work with. Think about what your family will enjoy the most. If you have small kids, you may want to design your yard around a playhouse, swingset, or sand box. If you enjoy entertaining, consider a fire pit conversation area with comfy seating, or a dining area next to the grill. Got any furry family members? You can even create a special spot just for them, like a dog fountain to let them cool off in the summer, or a “catio” to let your indoor kitties enjoy some fresh air. The more comfortable you make your outdoor space, the more likely you are to actually use it. 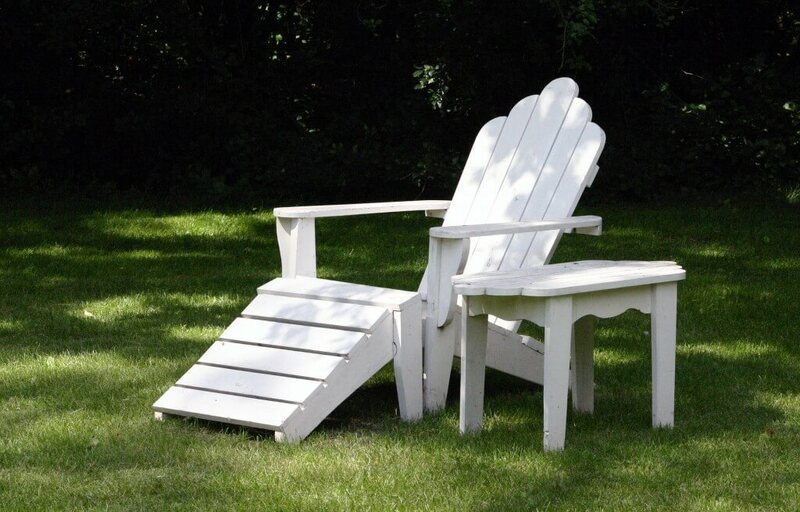 Be sure to include at least one seating area, whether it’s an outdoor sofa, built-in bench seating on your deck, or just a couple of Adirondack chairs on the lawn. Today there are so many options in outdoor furnishings and weather-proof fabrics that you can create a space as inviting as any room in your home. Ready to reclaim your backyard and turn it into an expansion of your home that your family will actually use? Give us a call at 352-682-4444 or contact us online for a free estimate on our landscaping and tree services in Gainesville, Alachua, and Newberry, Florida!